Wondering what the attractive geometric design on the left is? You’re not the only one. Until recently I had assumed that these designs were simple decoration. It turns out I’m not the only one who is unfamiliar with these so-called QR codes (Quick Response codes). 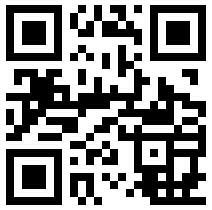 A University of Bath study in 2008 found that only 13% of university students interviewed knew what QR codes are! This instantly makes me feel a lot less stupid. To be fair, a second study carried out by the University of Bath this year found that the number of students who knew about QR codes had increased to 38%. But that does make me feel stupid! Of course if you live in Japan, you probably have QR codes for breakfast. Literally. They are apparently ubiquitous, from breakfast cereal boxes to bus stops. But what exactly are they? And why should you care? If you are in the 38% of those in the know, you can stop reading now. But if like me, you are in the remaining 62% still in the dark, below is the definitive Dummies guide to QR codes. 1 What are QR codes? You know those barcodes you see on supermarket products? A QR code is similar to that. It’s information encoded in a two-dimensional graphic. Whereas a supermarket barcode consists of vertical lines, a QR code encodes info vertically and horizontally – so you can get more info on it. You scan QR codes with your mobile phone (more on this in point 3 below). There is of course a limit to the amount of information you can put in a QR code. Typically a code will include a short amount of text, up to a couple of lines. No adding War and Peace or the Complete works of Shakespeare in a simple code. Or a code may include a website link (url). If your phone is Internet-enabled, you can immediately click on the url and go to the web page. No having to laboriously type in a long url by hand. 2 Where can you find QR codes? 3 How do you read QR codes? 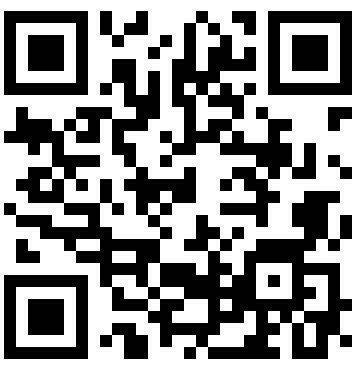 Download a free QR reader to your mobile phone. This site helps you choose the correct reader for your phone. I have an iPhone, and use Barcodes, which works fine. Open the QR reader app on your phone. Point your phone camera at the bar code at the top of this blog post. Take a photo. Resize and fit the photo so the QR reader can scan it properly. Click ‘ok’, ‘use’, or ‘read’ (depending on your reader). If your phone is scanning the code correctly, you will then see a link. Click this link ad you will be taken to an example of a real For Dummies book I co-wrote last year with my colleague Gavin Dudeney. If you can’t get your phone to scan the code properly the first time, try again. The quality of your camera, how close you are to the computer screen, and your screen quality will all affect how easily your camera deals with QR codes. 4 How do you create QR codes? Go along to a QR code generator site like Kaywa. Decide whether you want a code that shows an url, a short text message (aim for about 160 – 250 characters), an sms, or a phone number. Fill in the relevant details. Click ‘generate’. Voila! The code appears. You can now embed it, save it as an image, or print it out. How cool is that? Tip: The more information you store in your QR code, the more complex it will be. In other words, the geometric pattern will be denser, and therefore more difficult for phones to accurately scan and interpret. And not all the information may be stored if you try to include too much – bits may be left off. If you want to generate a QR code for a website, it’s useful to first shorten the url, for example by using a service like Bit.ly. Put the shortened url into a QR code generator and the QR code ‘picture’ will be less complex. 5 How can you use QR codes in education? Here are some ideas for using QR codes in education that I have found and especially like. These are all from my recent reading on the web. The sources of all of these ideas are in the ‘Read more…’ section at the bottom of this post. Include QR codes in published books, journals, or on paper handouts, which link to further resources. Especially for academic text books and course books, this has great potential, imho. Create a series of QR codes and attach them to physical objects in or outside the classroom, as part of a treasure hunt. Each code can supply a clue and a link to further information, which students need to collect to complete the treasure hunt. Students research a topic and present their findings in posters which are stuck on the classroom walls. The students create and include QR codes in the poster presentations, which link to online multimedia resources connected to the project topic. An excellent way to create low-tech multimedia poster presentations! My next blog post will include some more classroom ideas for QR codes, and also look at some of the disadvantages of QR codes. (It’s never all roses). A great one-stop place for some online reading is included in the QR code on the right (use ‘QR’ as a search term once you get to the site). Yes, I could just provide a link as you are already online, but this is a chance to try out the steps in point 3 above! Great introduction, Nicky. Thanks. I would caution QR Code enthusiasts, however. Creating the tag, while relatively simple, is only the first step. Creating a satisfactory mobile experience is the hard part. To successfully build a satisfying mobile Web ‘micro site’ one must contest with tiny screens, less memory and storage capacity, bandwidth limitations and, above all, the absence of run-time applications and (on Apple devices) Flash. Fortunately, companies like Warbasse Design (http://www.warbassedesign.com) and others are pioneering these issues. Thanks for your cautionary comments, John, and I fully agree that there are drawbacks with QR codes, and not just on the more technical level. Finding meaningful uses for educators/students is also an important angle (what I think of as the ‘Why bother’ factor). My next blog post will highlight some of the drawbacks, and I will refer back to your very useful comments here in that. Thanks! Thanks for a great post! One fall project I’ll be doing with my graphic communication students is to create a QR code tour of our building – we’re a Career & Technology Center and we host hundreds of tours every year. It kind of reminds me of the animal keys the Philadelphia Zoo use to give kids to learn more about the animals we were looking at. (I loved those monkey keys!) Have a great year! CODES SIZES: Minimum display sizes for QR Codes to be read with the Kaywa Reader vary between 2.5 x 2.5 cm for Short Codes and 3.2 x 3.2 cm for Short Code URLs and URLs. 90% of the supported phones read smaller codes (1.9 cm instead of 2.5, 2.6 instead of 3.2), but if possible, keep the size as indicated. Mobile phones in Japan can handle much smaller sizes due to better camera resolution and macros.